2) Can we pick this up in the New Year? A lot of people have said that. Heck it might not even have been about business. Maybe someone asked you to join a gym. Or go on a date. What the heck is Eggnog and Candy Cane Season? If defined with kid gloves, I would describe this as the time of year when employees, customers, vendors, you name it, might not be as fully engaged as they are throughout the rest of the year. I have also had some other ways of describing it but this is a PG post. In October of 2011, I began my position as National Sales Director for my employer. As with any new position, I was very excited to get started. My timing was impeccable, as not even one week in, I was on my way to the NACS (National Association of Convenience Stores) Show in Chicago. For those of you not familiar with the show, imagine anything you can buy in a convenience store. These companies all have massive booths and the floor is covered with category buyers for everything from cigarettes to energy drinks to good old fashioned PUGS Sunglasses. It is the Final Four for those of us in this market sector. NACS accounts for more than half of my annual leads and meetings. This show for all intensive purposes is the kick off to the New Year. It is at this show that you will be able to put a face to the name you have been trying to reach through email and phone. You will also continue dialogue with those you met with during the previous year. 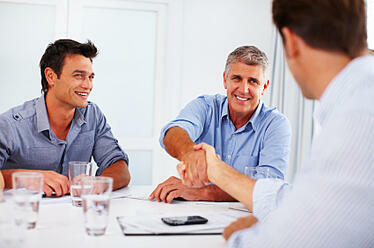 And you will also get to meet new people, whom like your product and want to discuss it further. The Post-NACS travel becomes the first milestone of the new sales year. Nearly every week from October 7th until Thanksgiving, I find myself on multiple trips to meet with everyone I talked with at NACS. On the surface it would appear that I would be employing the “strike while the iron is hot” mentality. And while this does play a large part, I also need to get out and visit with interested people before we get into the “Eggnog & Candy Cane” portion of the year. After my first NACS in 2011, I hit the road running. I met with people all across the land and came back very excited. The conversations from NACS led to great in person meetings and many people asked that we move forward immediately. I was very excited and started to debrief management, operations, and the field staff of customers we would begin partnering with. And then a funny thing happened on the way to the dance. Thanksgiving came and it was as if the world had come to a standstill. Buyers I had talked with daily for 3 weeks, were unavailable. And for good reason. I found out the hard way about December being cooler resets and cigarette negotiation months. Categories that are the life blood of the C-Store industry took top billing. I have always tried hard to make sure I lean way closer to persistent rather than pestering, but found myself baffled as to why I could not reach anyone. Unable to make any headway until the middle of December and so close to Christmas, I agreed with most buyers, that we talk about things in the New Year. 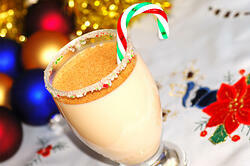 The clock had run out on 2011, it was time for all to celebrate the holiday season…Eggnog and Candy Canes for all. In 2013, after 2 years of not getting the post-NACS timing right, and succumbing to the holiday season, I made a point of not letting it happen again. I was determined this year to enact some new Denver sales & marketing strategies to be able to work through the holidays with people I met with after the show. The results have been great for both myself and the buyers. I put together a game plan and wanted to share how I have been able to have more success two weeks out of Eggnog and Candy Cane land than ever before. Begin with the End in Mind-The very first thing I did after NACS this year was to make sure that I wasn’t throwing stones while living in a glass house. Had I been as productive as I could be last December? Nope. Did I push some stuff into the New Year that could have been dealt with well before that? Yep. If you want to put a stop to a bad trend you have to create a game plan. Schedule-I have recently begun to embrace scheduling as a mandatory way of doing business. I found that if I actually sent out email invites to people, we would be much more likely not to have things pushed back. State You’re Intensions-When I sat in a Post-NACS meeting in 2011 and category managers asked me how to move forward, I did not stress the importance of trying to get things done before the New Year. I gave them a lazy response: “I will shoot you an email. That may work in June, but not with the end of the year approaching. This year, I wanted to make sure to ask how busy they were going to be during the holidays. I also asked if we could make a deal to try and work through any questions before the New Year. Create an Action Plan-I know not all people work well in a timeline based thought process. However, any sale that happens will eventually turn into an operational project. I find the best way to work in the operational mindset is to put together a task list. If you have roadmap of the steps needed to complete in order to be successful, it is far easier to keep dialogue going. Another advantage is everyone knows where everything stands and if communicated effectively you have a logical starting point each time you talk. Manage Your Expectations-It is important to understand that no matter how hard you try, the holidays are going to produce a lower amount of time you get to talk to potential customers. My goal in this process was to improve my communications with potential customers from 0% to 33%. It was a success. I believe that I now look at December as an opportunity rather than a dark sales month. In addition to talking with people more than ever during the season, I will be able to put operations in a much better position than last year for the early season rush and I believe that our account management team will have a better chance at success. Will you be enjoying your Eggnog and Candy Canes next season?